World. 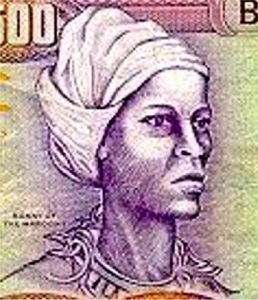 He is said to have exclaimed that Jamaica was the “fairest island eyes have beheld”. 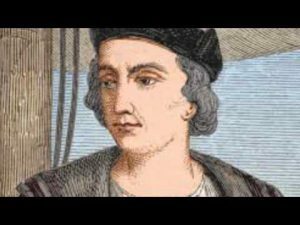 Later, on his fourth voyage, Columbus was given the opportunity to become better acquainted with the island when his ships were damaged by storms and he was stranded there for an entire year. The Spanish soon settled in and began their usual business of importing African slaves. At the same time, the peaceful native Arawak Indian population dwindled due to diseases brought to the island, extermination or transport as slaves to the neighboring island of Hispaniola. In spite of Columbus’ rave reviews of the island, the Spanish population of the island numbered only about 1500 when the British arrived in 1655. The attackers, sent by Oliver Cromwell, Lord Protector of England and under the command of Admiral William Penn – father of William Penn of Pennsylvania – and General Robert Venables, succeeded in their conquest and the Spanish surrendered. Jamaica was the second choice of the British attackers, having failed at taking the island of Hispaniola. Some of the Spanish fled to the mountainous interior of the island and it was not until five years later in 1660, that the last Spaniard, Don Arnaldo de Ysassi left from what is now called Runaway Bay in 1660. This same year, a governor was appointed and ten years later, in 1670, British control was formalized with the Treaty of Madrid. Around this time, the city of Port Royal became one of the largest European cities in the New World. At one time, it was second only to Boston. 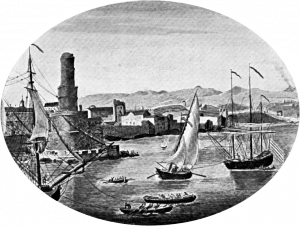 Port Royal thrived largely due to the activity of Pirates and buccaneers who had made it their headquarters due to it’s strategic location and large harbor. Soon it gained the reputation of being ‘the wealthiest and wickedest city on the face of the earth’ due to the loose morals and ill-gotten wealth of its residents which was comprised in large part of pirates, prostitutes, cutthroats and drunkards. It is said that there was one drinking house for every 10 residents and pirates congregated in Port Royal from all parts of the world. reclaim the island, all of which were unsuccessful. 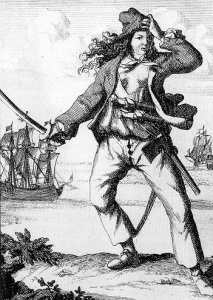 A privateer, or corsair generally was a pirate with a letter of marque, an endorsement from a higher authority charging them with defending or avenging on behalf of the issuing authority or government. Oftentimes these letters of marque were invalid or those in their possession failed to observe the terms of the letter. Buccaneers were more specifically pirates who had been suppliers of provisions such as water and meat to non-Spaniards. They were generally outcasts such as Indians, mulattos or other displaced individuals. The term buccaneer is of somewhat unclear derivation, but possibly referred to the makeshift gridiron used to cook the meat that they sold to the English and French. ‘Boucaner’ is also a French term associated with ‘lowlives’. They became useful not only for their willingness to trade with the non-Spaniard settlers of the area, but because they were known as good navigators and sharpshooters. They would also typically have a letter of marque. Pirates, on the other hand, were those who plundered and acted on their own behalf, with no attempt to follow any rules. Pirate is generally used as a broad term to include all of the above. 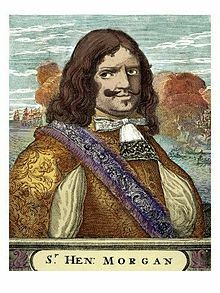 In 1675, the notorious pirate Henry Morgan became Lieutenant Governor after he was knighted by the crown, and actually started trying to clean the place up which resulted in numerous hangings. 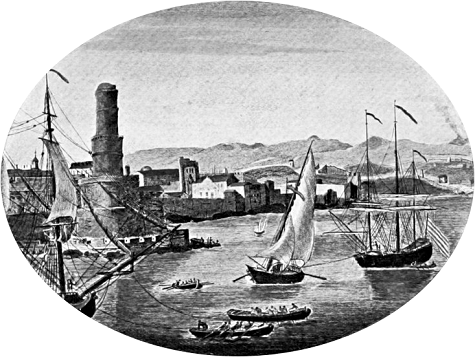 On June 7, 1692, Port Royal was nearly completely destroyed by a massive 7.5 magnitude earthquake. Around 2000 people were killed and 33 acres including four of the five forts were submerged. Unsurprisingly, many saw this as punishment for the wickedness of the city’s inhabitants. Those remaining, however, continued their wicked ways and there was rampant looting after the earthquake. For another 50 years pirates would continue to attack Spanish ships. Besides Henry Morgan, many of the most famous pirates of the days were somehow associated with Port Royal, including Blackbeard, Black Bart and Calico Jack, who was famous for his skull and crossbone flag, the “Jolly Roger” and who was hanged at the gallows in Port Royal. 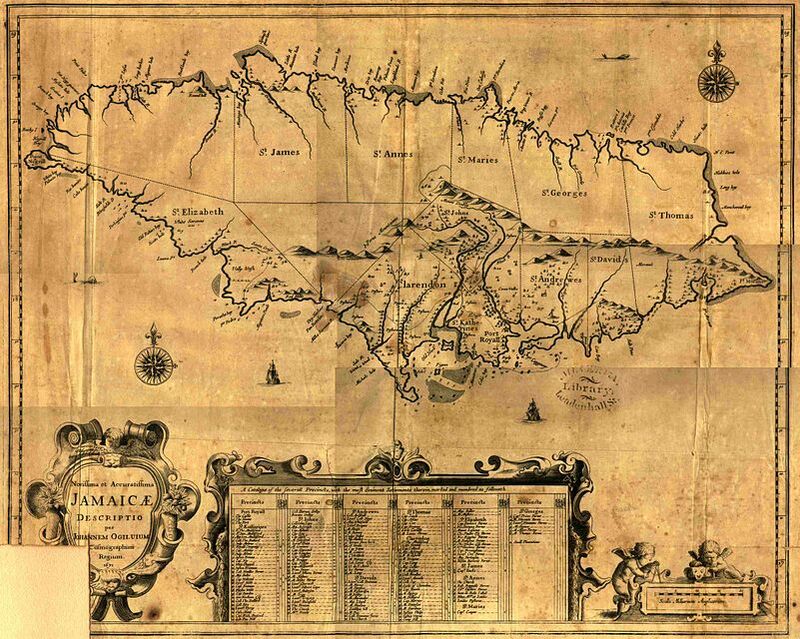 The earthquake of 1692 was not the end of Port Royal’s calamities either. Fires, earthquakes and hurricanes followed, including Hurricane Charlie in 1951 which left only a few buildings standing. Today, most of Port Royal remains under 40 feet of water. Compared to Pompeii in Italy, it is remarkably well preserved and divers have explored and catalogued the city since the 1950s. 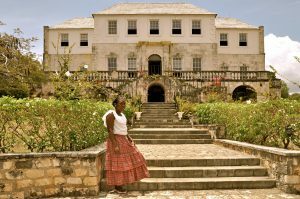 It is a national heritage site and many of the artifacts that have been found are on display in museums in Kingston, including a pocket watch dated 1686 that stopped at 11.43. It is said that you can still hear the bells toll from this lost underwater city. The Maroons were former slaves who banded together and established communities in the interior parts of the island. Of the former slaves of the Spanish, who were, for the most part driven out in 1655, there were three groups that formed. The first group allied themselves with the Spanish who had remained and fled to the ‘Cockpit Country’. The second group allied with the English, and the third remained without European alliances, but joined with the remaining Arawak Indian population. Each group formed communities in the island’s interior. It should not come as a surprise that skirmishes and conflicts occurred, usually set off by events such as the theft of a pig. This led to two major conflicts known as the Maroon Wars. The first Maroon War of the 1730’s led to somewhat favorable results for the Maroons, with the agreement that the Maroons would remain in 5 main towns under their own rule, but subject to a British supervisor. The outcome of the second Maroon War, which took place in the 1790’s, was less favorable and resulted in deportations to places as far away as Nova Scotia and Sierra Leone in West Africa. 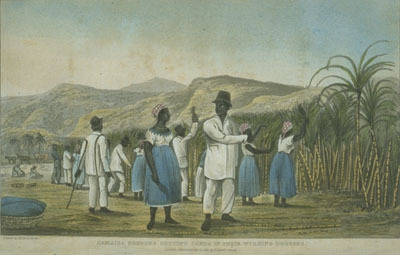 In the 18th century, sugar replaced piracy as the principal source of income and the establishment of large plantations in the interior was likely a contributing factor to the conflicts with the Maroons. 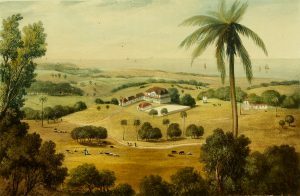 In 1834 slavery was abolished and by the late 1800’s, Jamaica was suffering from a sever economic decline with many of the sugar plantations forced into bankruptcy. Although the freed slaves were permitted to vote, there was a hefty poll tax in force that was prohibitive for the majority of the non British population. In 1864, less than 2,000 black Jamaican men were eligible to vote. The population at the time was over 436,000 and blacks outnumbered the whites by 32:1. This, plus several events led to a bloody rebellion in the year 1865. The attempts of the former slaves to sustain themselves through planting crops and cultivating the land were thwarted by droughts, then floods as well as outbreaks of cholera and smallpox. A petition to Queen Victoria herself was sent asking for help, but the reply that came back was only that they should try harder. In October, 1865, a man was convicted of trespassing on an abandoned sugar plantation. During his trial there was a disturbance caused by one of the spectators and a fight broke out. More arrest warrants were issued for rioting and assaulting policemen, including a warrant for a Baptist preacher named Paul Bogle. On October 11, Bogle led a group of several hundred protestors to Morant Bay. 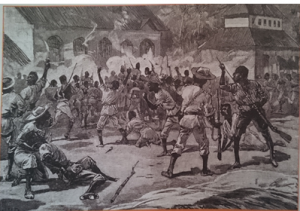 In the conflict that resulted, more than 25 lives were lost as the rebels took over the parish of St. Thomas-in-the-East. Governor John Eyre sent troops to round up the rebels and capture Bogle. As many as 439 rebels were killed and 354 more were later executed, including Bogle. 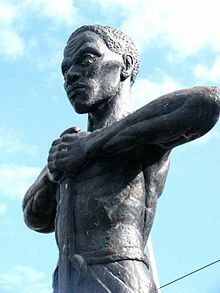 This rebellion is considered to be the most extreme act of suppression against former slaves in the history of the British West Indies. In 1866, Jamaica was made a crown colony under direct British rule, which was requested as a result of the bloodshed that had occurred. Some progress occurred in the economy and by 1890, bananas had replaced sugar as the main export. 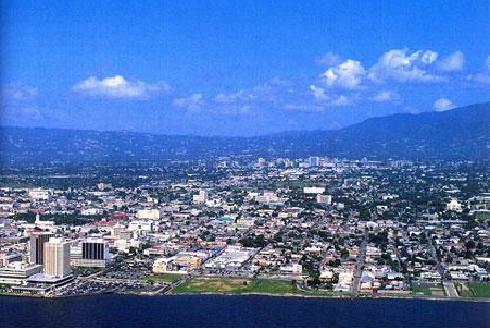 In 1872, the capitol was moved from Spanish Town to Kingston, which had been founded as a refuge for the survivors of nearby Port Royal. In 1907, it was also largely destroyed by a 6.5 magnitude earthquake, at the time, considered among the deadliest in history. Nearly every structure in the city was damaged or destroyed. Fires broke out and it is estimated that 800-1,000 lives were lost, with thousands more being left homeless. 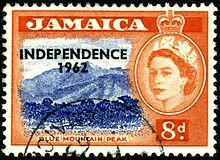 After a referendum in September, 1961, Jamaica opted for independence, which it officially received on August 6, 1962, though it remains a member of the British Commonwealth of Nations. 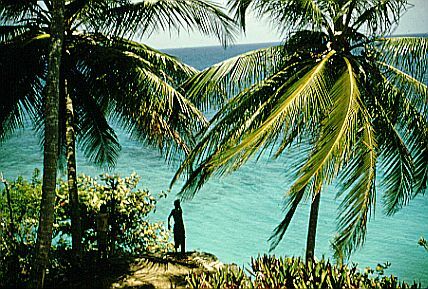 Today, Jamaica is famous as a tourist destination. It’s spectacular beaches and resorts draw over a 1 million foreign visitors every year and tourism accounts for at least half of the country’s economy. I love traveling and learning about the history of countries and civilizations. I find it to be fascinating, the journeys and moments that made up what it is that I get to live within and make my reality. I enjoyed reading about Port Royal and how it’s a top diving place. I love history and am always fascinated by it. Reading articles and watching videos of various places, their historical backgrounds, people, their culture and traditions, makes me somehow connected to them. Like you find a piece of the puzzle of how it all began, why they do this, how they do that, and along the way you will realized so many ” ah, that’s why…”. Very well presented. Keep it up! I feel much the same way. I have had so much fun with the history part of my site. Discovering who the original people were, which powers had control and influence, and how they contributed to the culture, cuisine and architecture is very much like finding the puzzle pieces that make the whole picture.